This week in Warsaw a new Polish prime minister was sworn in. The change in leadership occurred in the wake of growing nationalist sentiment and a crumbling international image, but does the change represent real progress or is it merely cosmetic? Poland’s Prime Minister Beata Szydło has resigned and been replaced by Mateusz Morawiecki. 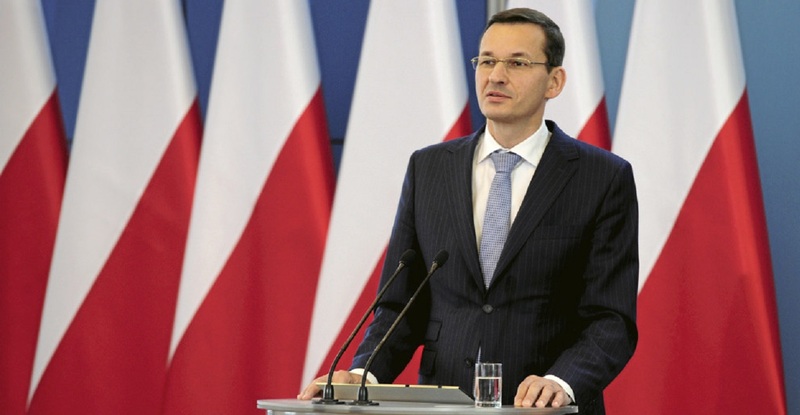 Morawiecki was finance minister in the Law and Justice government but was previously an economic adviser in Donald Tusk’s Civic Platform party cabinet, so he has not always been a follower of the current ruling Law and Justice party. Speculation concerning government changes have been circulating for some time. It was the party leader and paramount ruler of Poland, Jarosław Kaczyński, who was widely seen as most likely to take over from Szydło. Morawiecki was mentioned only as the second option. While popular in Poland for initiatives such as introducing high-value family benefits, Szydło’s government was viewed in an unfavourable light abroad. She was the face of the government associated with Poland’s tarnished relationships with its neighbours, especially Germany and Ukraine, and with the EU establishment in Brussels. She was increasingly perceived as being unable to manage her government, most recently after it was internationally criticised for supporting (or not reacting against) hard-right, nationalist sentiment during the annual November march in commemoration of Poland’s independence. Poland’s damaged international image and increasing tensions over the endangered rule of law and hostility towards migrants—with the European Commission now taking Poland, Hungary and the Czech Republic to the European Court of Justice for refusing to accept asylum seekers—might have prompted Kaczyński to decide that demoting Szydło might defuse some of the tensions. While the government justified the change by stressing the need to focus more on economic growth, there are clearly other objectives. Morawiecki is respected both in Poland and the EU. He speaks fluent English and German and is seen as a leader with vision who is open to the West. He represents more centrist and moderate voices and a younger generation of Poles. Perhaps it is a sign of a long-awaited compromise. Morawiecki has a good reputation in the EU, having participated in the negotiations of the Polish accession to the EU, and he should soften the ultra-conservative image of Poland’s ruling party. At the same time, he is known to be devoted to the Polish cause. He was active in the anti-communist opposition movement as a young boy and as an official promoted economic patriotism as well as the building of social capital in Poland. However, there might be other reasons behind the change. Diverting attention from other important matters in the country is a known tactic of the Law and Justice party. This week, parliament will vote on two bills which, if passed, will further transform the judicial system giving the government even more control over it. The anti-democratic behaviour of the Law and Justice government has been long criticised by the European Union. Any changes Morawiecki is able to make will probably go more to image than to substance. There are certainly important changes to be expected, both in the government and in Poland’s international relations. Poland’s economy is performing well and Morawiecki will try to stimulate it further, but probably along the lines of dirigiste intervention in the economy. He should, however, be able to warm up Poland’s international image and attract younger voters with his vision of a Poland growing in strength. It will remain to be seen whether he will protect Poland from further erosion of the rule of law and how he will engage with the dispute over the EU’s refugee relocation scheme. Morawiecki has been quoted as saying that there are other things more important in a country than law, and security is one of them. Whether the leadership change will bring any significant changes is hard to say. Analysts predict Jarosław Kaczyński will keep steering the country from the back seat. 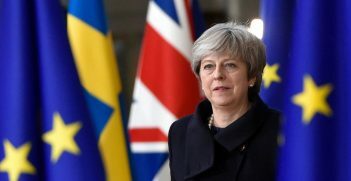 The hope is, however, that the country’s revitalised image will eventually translate into better relationships with neighbours and Brussels at a time when opposition protestors are demonstrating in front of courts throughout the country. 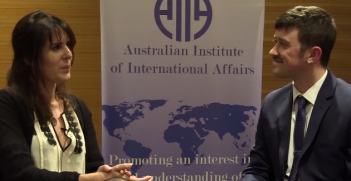 Dr Katarzyna K Williams is academic coordinator and a former Europa Research Fellow at the ANU Centre for European Studies. 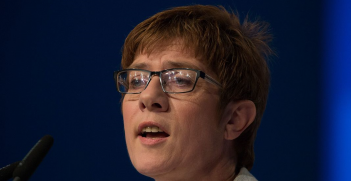 Has Germany succumbed to the “Arrogance of Power”?